Chikungunya is caused by chikungunya virus from the family of aerbo virus. It is caused by the bite of the day-time mosquito Aedes aegypti. The same mosquito also causes dengue. Hyderabad: Spread of chikungunya has increased four times from 2000 and 2016, says a study published in the Journal of Infectious Diseases. Also, southern India has developed favourable temperatures for its transmission. The study quoted epidemiological data to say that temperatures from 1948 to 2000 have not seen as many chikungunia cases as the period from 2000 to 2016. The comparison was made on the basis of disease surveillance and climate changes in the region. The data showed that mean temperatures are now more favourable for breeding of mosquitoes than from 1984 to 2000. 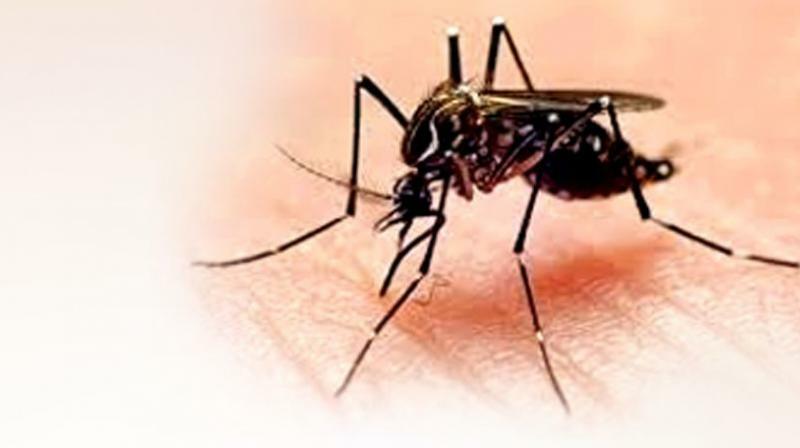 “Climate changes create conditions that allow for the breeding,” said Dr Suneeta Narreddy, senior physician for infectious diseases at Apollo Hospitals. El Nino conditions of 2010 and 2016 are also strongly connected to favourable transmission. Multiple studies have found that transmission of chikungunya occurs when temperature is between 20-34°C, but peak transmission takes place at 29°C. The 29°C condition is now being seen very often in southern India, the study found. Because of availability of such optimum temperatures, transmission is faster, as it gives rise to the much-wanted incubation period. “During the outbreak in 2006, there were 32,000 doctors in united Andhra Pradesh who have come forward with their medical records,” Dr K. Narsimulu, former senior professor of general medicine at Gandhi Medical College, explained.